The Project is dedicated to the recording of memorials to the Anglo-Boer War across the world. The aims and objectives are contained in the Project Briefing . The Project can also assist with the restoration of Anglo-Boer War Memorials. For funding and advice on restoration contact The War Memorials Trust. Are you researching a soldier of the Anglo-Boer War? 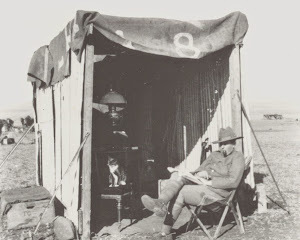 The Project's database is being included into The Register of the Second Anglo-Boer War 1899-1902. We are able to offer an unrivalled service for family historians seeking information on their ancestor who fought in the Anglo-Boer War. Read more. If there is anything you would like you know about Anglo-Boer War Memorials please contact us.